When you think of a traditional business plan, you probably think of pages of text, graphs and confusing stats and numbers. You know, the kind of thing you’d nervously push across the desk to a bank officer in hopes of securing a loan. 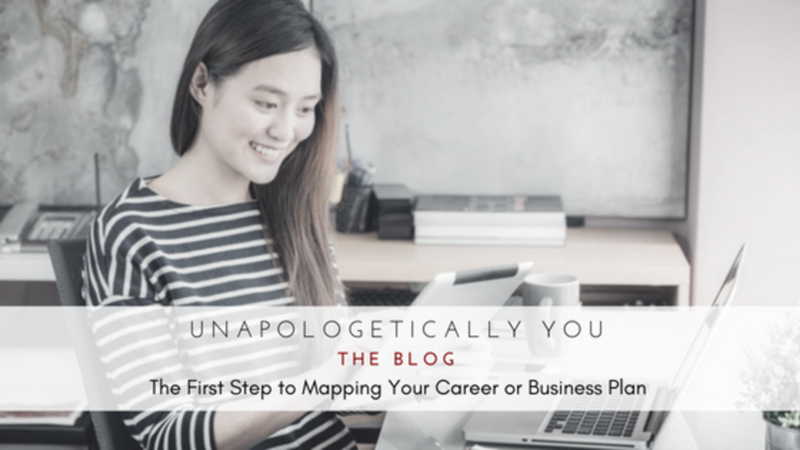 Similarly, a career plan that list the results of job searches, contacts, upcoming interviews, and employment possibilities may also make your eyes glaze over. I know these things are important but neither seem exciting right? And what I know to be true is our thoughts govern our feelings and actions. When we're not feeling awesome about something we're less likely to do it. But what if you could create a business or career plan that doesn't follow the standard model? What if there was a way to make it less stressful and frankly more fun? Well, it's possible. Ok, the first step is the grab some crayons and colorful photos. Are you still with me? Before you judge hear me out. What if you could make a plan with fun, interesting images and inspirational quotes and phrases instead? What would that do for your daily motivation? When you think about, doesn't that feel better? Doesn't it feel doable? Well that’s exactly what a vision board will do for you. By collecting images that represent your dreams, goals and aspirations, you clarify and concentrate your focus, energy and attention on what you want. This consistent visual reminder imprints upon your subconscious mind and translates it into reality, not imagination. You see the brain doesn't know the difference between what's real or imagined, it just follows instructions. This is particularly true when your vision board evokes emotion within you. If you feel inspired, moved, connected, or energized by your vision board the deeper the imprint on the brain and the more successful you'll be at bringing these things to fruition. In addition, the things you can add to a vision board are more robust than what you could ever add to a business or career plan. They allow you to create a holistic plan that will encompass every area of your life. Maybe you want to spend more time with your kids as they’re growing up, or have enough money to finally take that vacation to Europe. What about that house in the country you’ve always dreamed of owning, your spiritual journey through Tibet, or paying your kids college tuition in full every year. None of these things will find a place in a traditional plan, but they’re perfect for your vision board. More importantly, they’re critical to your long-term success. Without your dreams, it’s nearly impossible to remain focused and on track when it comes to your professional growth. Still feeling a bit woo-woo for you? You’re not alone. Lots of us were raised to believe that when it comes to professional development you have to be all about facts and figures. While I support setting number goals, whether it be income, revenue, client or interview goals, you have to consider more than just numbers when creating a vision of what you want for yourself in future. In fact, some of the most successful people in the world routinely use vision boards to help clarify their dreams and keep their goals front of mind. And that’s precisely why vision boards work so well. They allow you to easily see exactly what it is you’re working toward. By keeping visual reminders within sight, you’re constantly aware of your “why,” and that’s a powerful motivator, no matter what you’re working on. This video with Steve Harvey on OWN is a perfect example of the power of vision boards. While vision boards can be fun to create, they're actually the roadmap to your future. Most people actually never pause long enough to ask themselves what they want or what would it mean if they got it. So they don't take action. Instead, they just let life happen to them. I believe it's because people don’t believe they can really get what they want and dreaming is safer than doing. Most of us have fleeting ideas of what we want to be, do or have in our lives. But they remain just that...fleeting. After all, who has the time to intentionally get clear about what we want to create? How do you even know where to start? 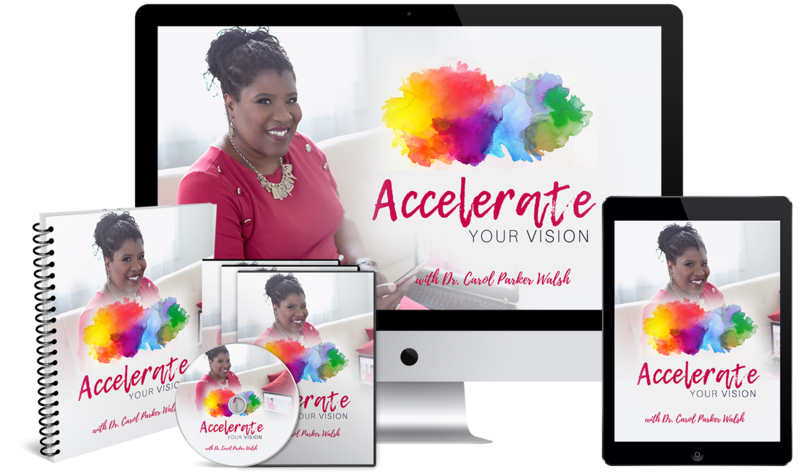 If you would like to learn not only how to create a vision board, but build a plan of action that will support you in implementing your dreams, join me in Accelerate Your Vision. Learn more about positioning yourself for a great 2019 and click here to learn more about how Accelerate can help you.